meal preparation easier, faster and more enjoyable. on oven temperatures and turn the oven off – all from your smartphone. 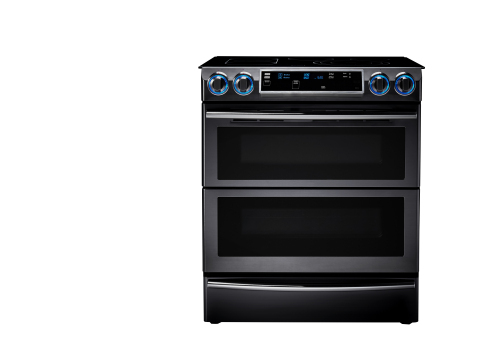 version of the range, you can even turn your oven on remotely. to cook larger items, which is perfect for that 20 lb. holiday turkey. by zone, programmed recipes and cleaning settings. To see Samsung’s latest home appliances and other products, visit http://www.samsung.com/us/. Headquartered in Ridgefield Park, NJ, Samsung Electronics America, Inc.